Facebook allows pages to build bots that are integrated with “Facebook Messenger.” Humans can step in and interrupt the chat as needed. 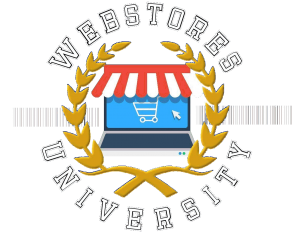 You can see how this works on the WebStores website – I have programmed a chatbot that appears in the lower right of our website – try it out. 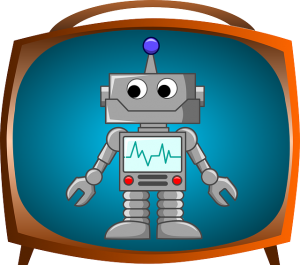 This bot is meant for demonstration purposes – to show you some of the things we can make the bot do. In fact, try asking it a question that isn’t a canned response. Facebook ads have the option to have someone start a chat session as the marketing objective, which is a great way to engage potential customers. 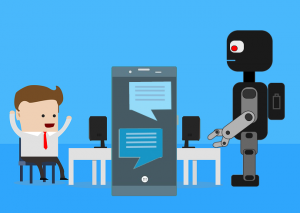 The other type of chatbot is one that resides solely on your website and is not integrated with social media. These are great in that it doesn’t require anyone to have a Facebook account to interact with the bot, and can be tightly tied to your shopping cart, where the bot can make product recommendations. So, it really depends upon what you are trying to accomplish as to the type of bot that makes the most sense for you. Remember to click on the chatbot on this page and test it out. If you’d like for us to help build a bot for you, call us at 877-924-1414 – the cost may be more reasonable that you might think based on the research we’ve done. We are super excited about this technology and how it can help you. ← What Can We Learn from Amazon Prime Day?